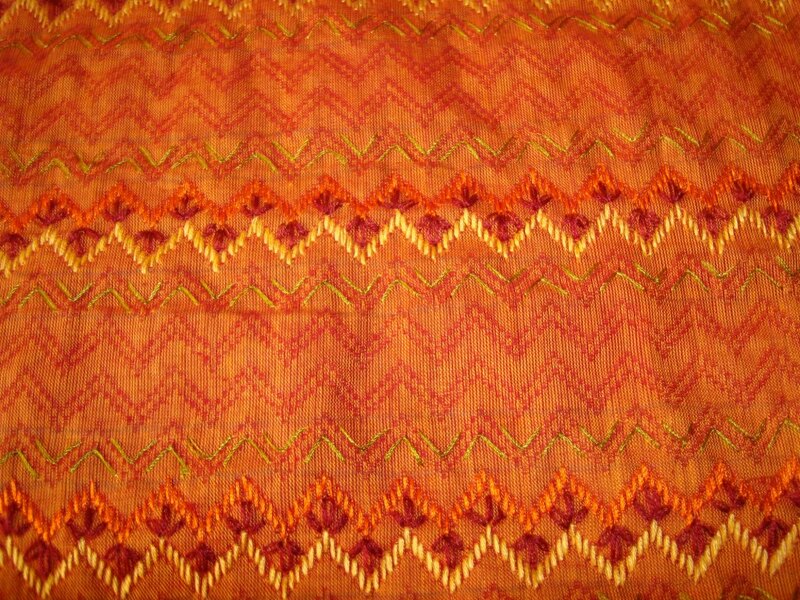 This fabric in handloom cotton, is very comfortable to wear. 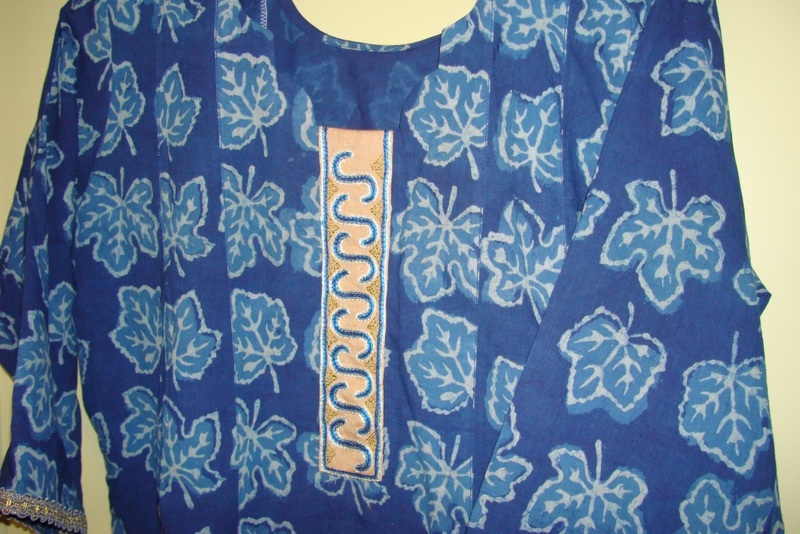 I have worn this tunic with – jeans ,tights and jeggings . 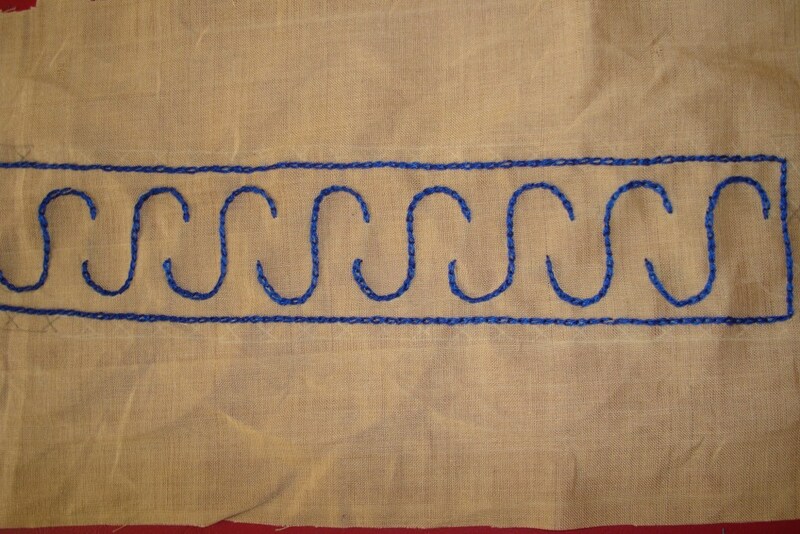 A very easy pattern to embroider. 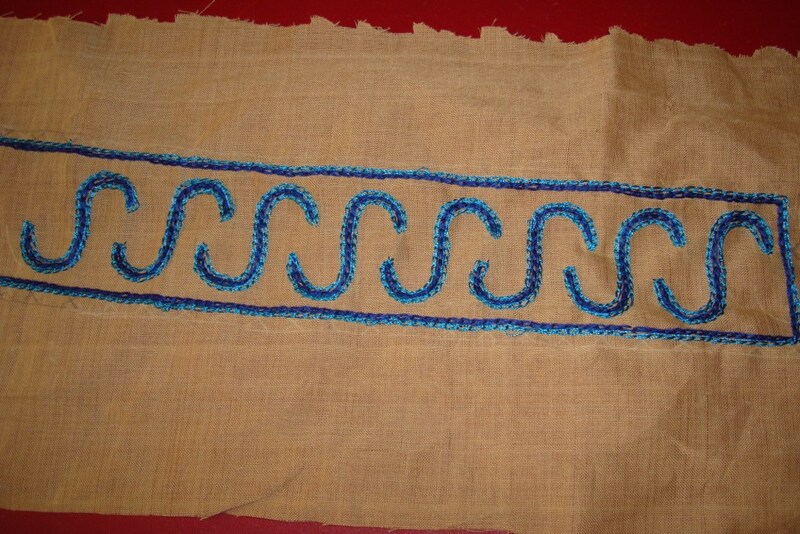 The embroidery for this yoke is done in chain stitch. 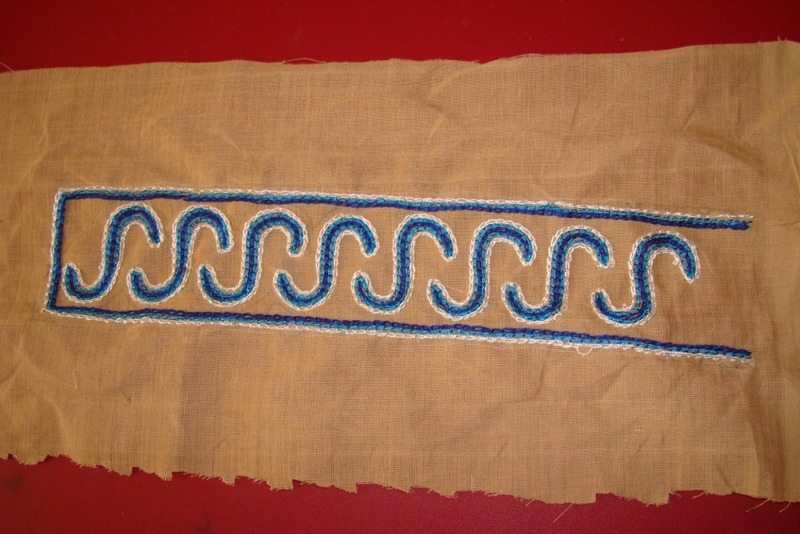 After the blue and white threads, small triangles were worked with chain stitch filling in antique gold. 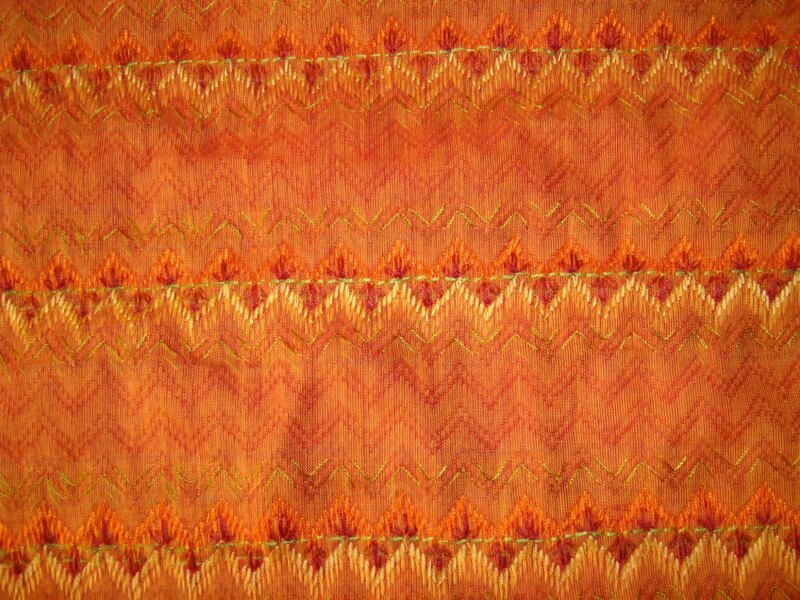 Thread s used were cotton skeins. 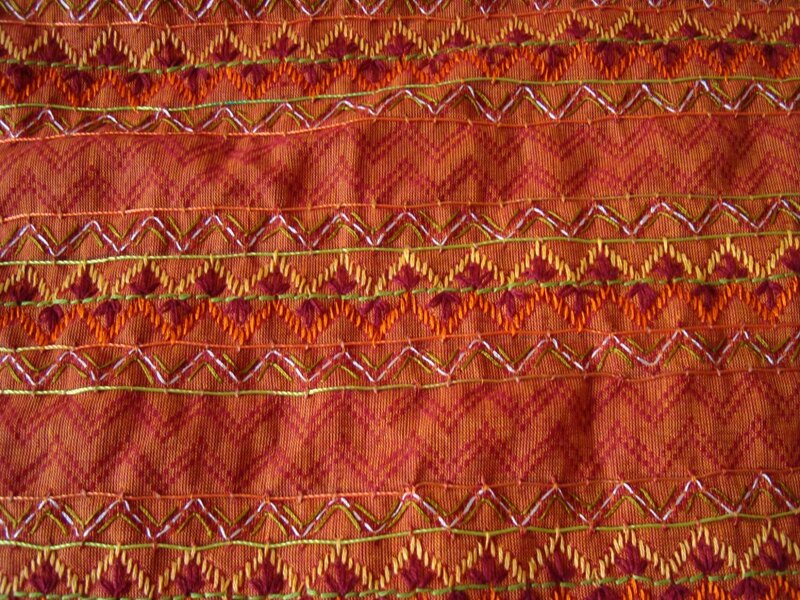 This pattern was worked in beige cotton fabric. 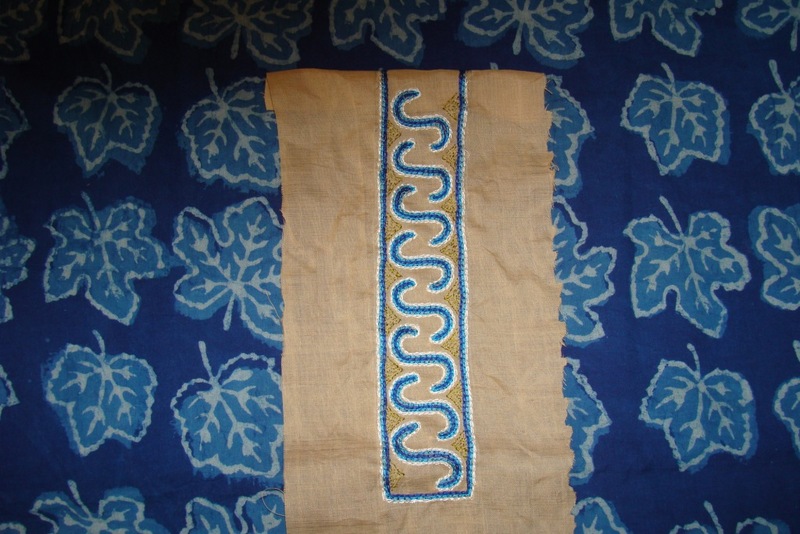 the thread colours were chosen from the printed indigo fabric, shades of blue and white. 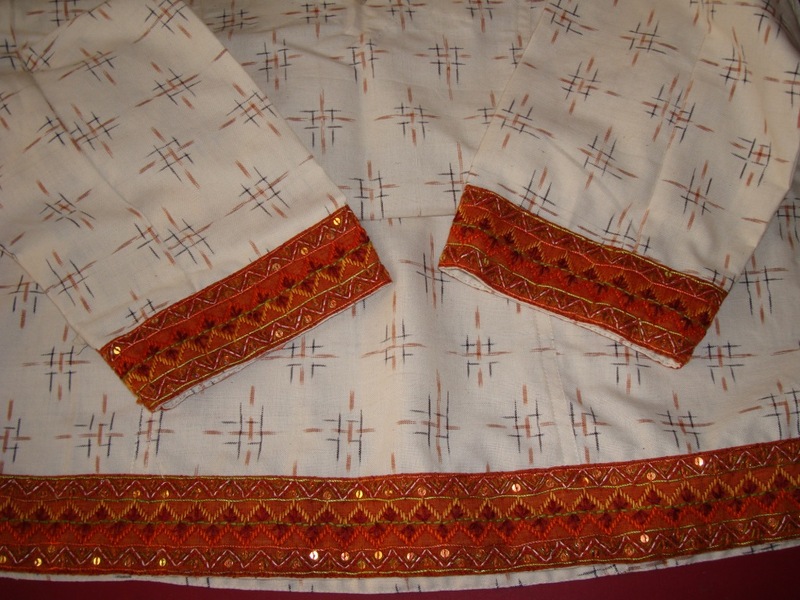 It is nice change to have just embroidery borders on a tunic instead of yoke. 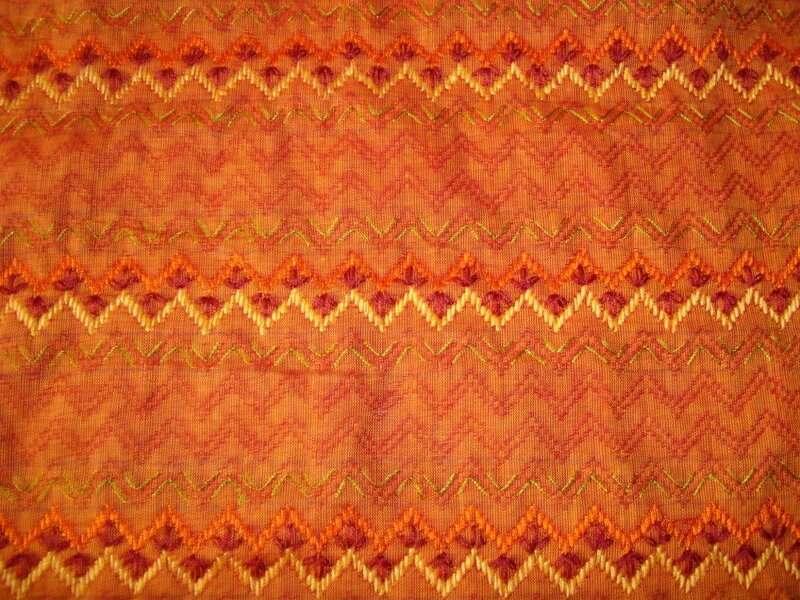 I wear this tunic and scarf with orange/red jeans. 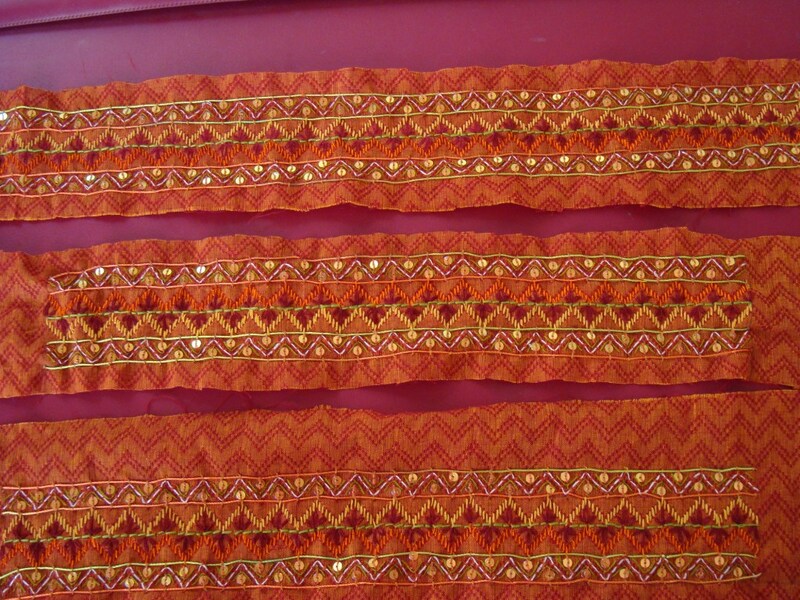 The idea to use printed fabric for embroidery border was also very practical. 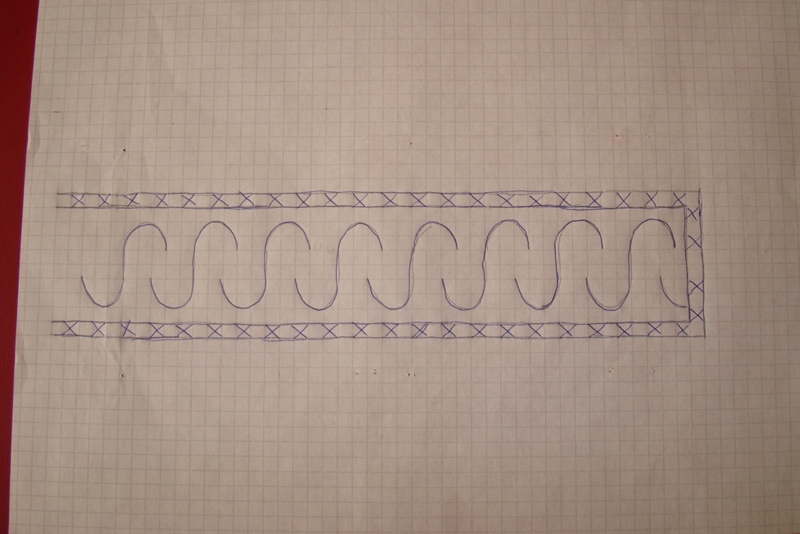 Totally a satisfying experience. 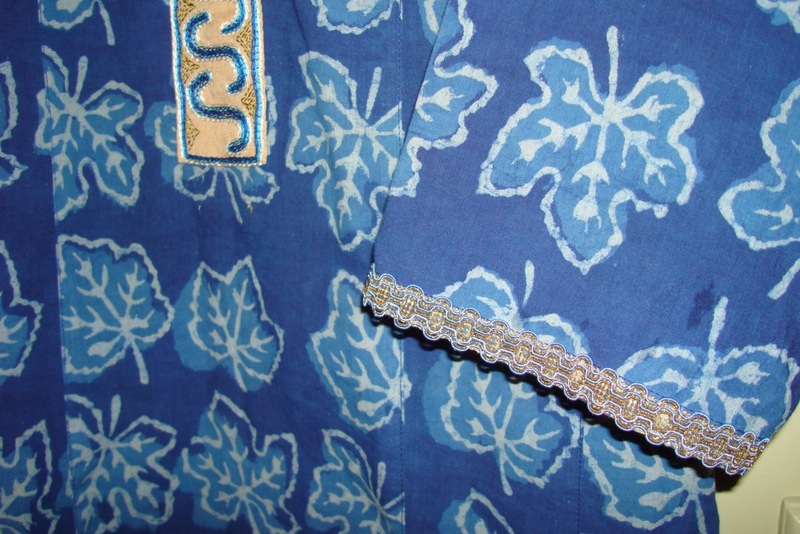 I am posting these details from India,and the tunic and scarf are in Muscat.so the scarf cannot be shown here. 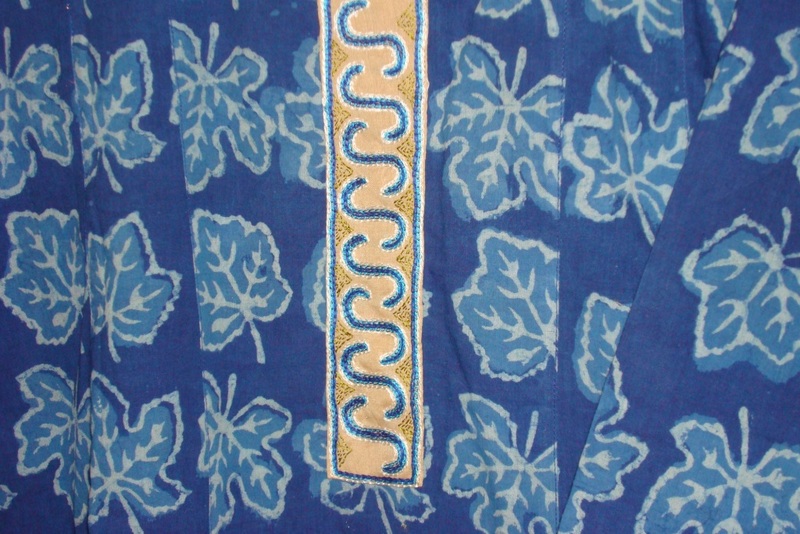 The colours used for embroidery on the borders of this tunic are based on the colours on the scarf for which this tunic is designed. 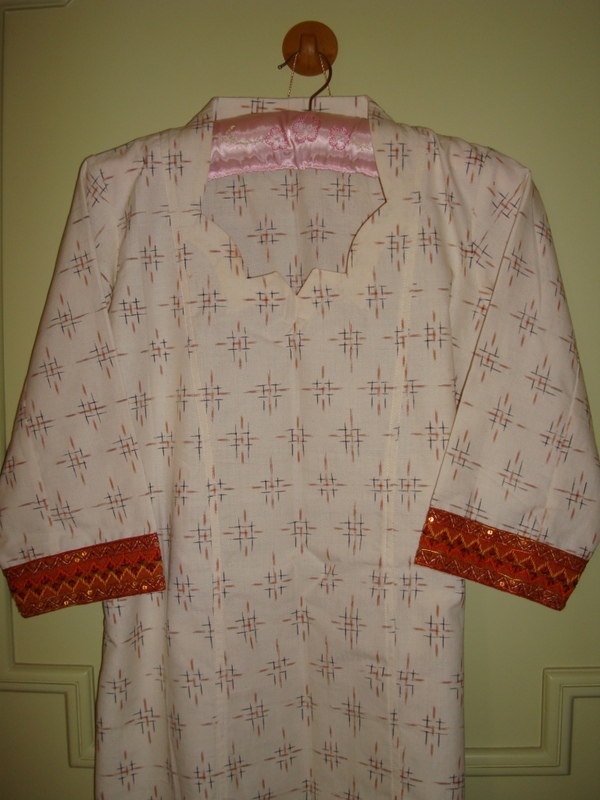 The tunic was cream colour ikat cotton, and the next colour was cream on the border. 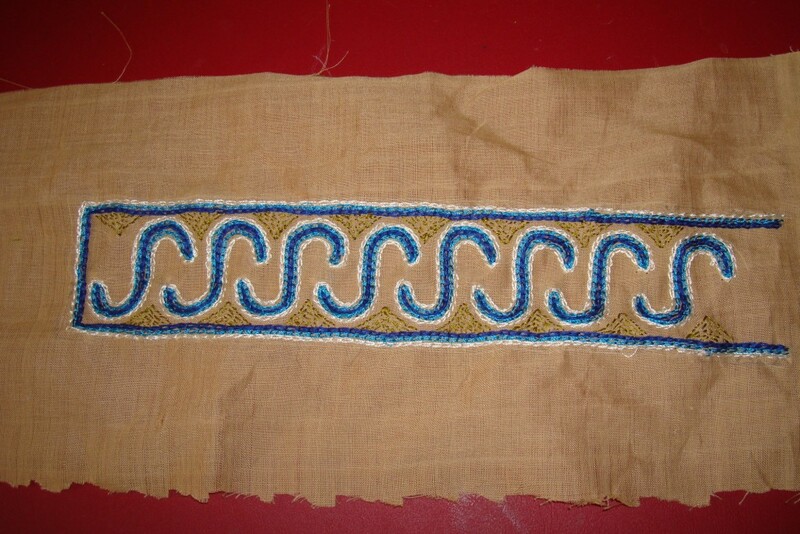 The back stitches in cream thread were worked between the running stitch rows done in green done earlier in this project. 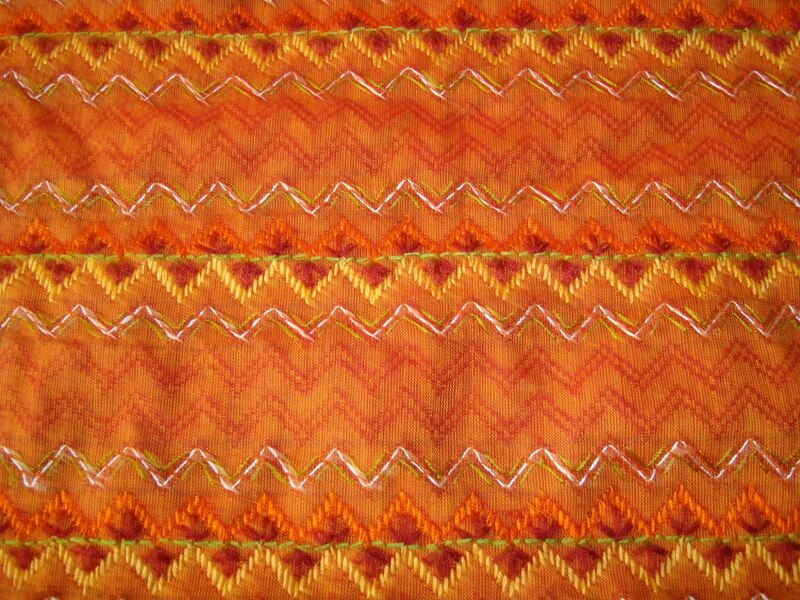 Three thread colours were used on this zigzag patterned border fabric. 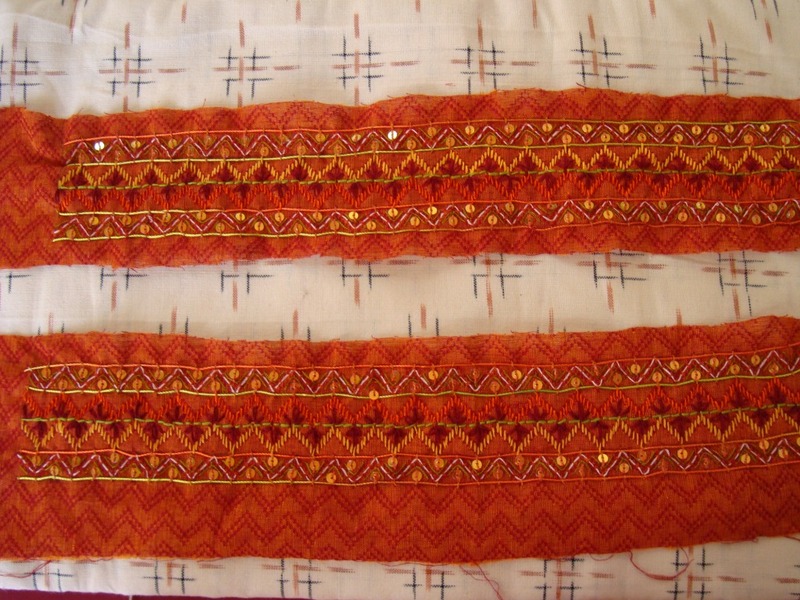 the next treatment was set of three detached chain stitches, which was worked in maroon thread, between two rows of straight stitches, in orange and yellow.